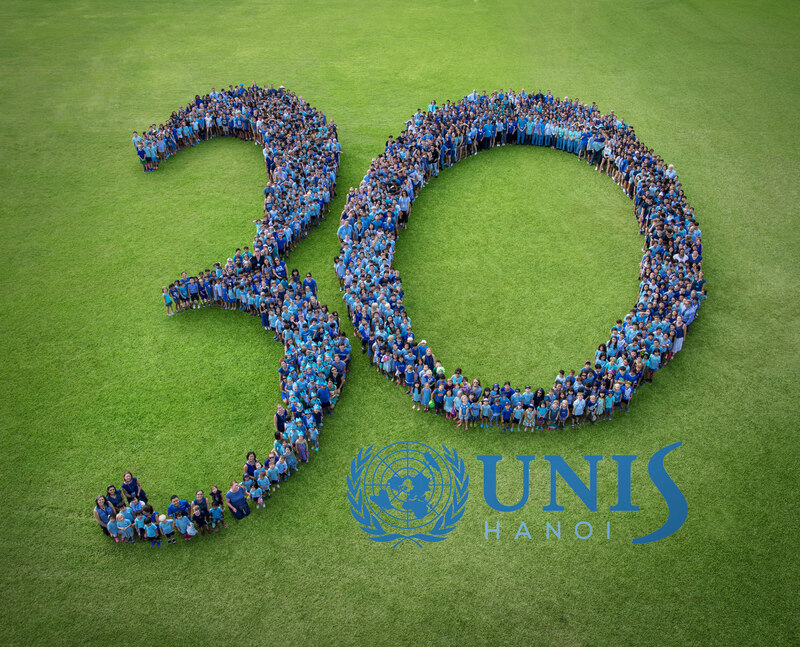 As part of UNIS’ 30th-anniversary celebration, they approached NOI Pictures to help create a group shot which would reflect this monumental occasion. Similar to five years ago when we spelled out UNIS across their sports fields for their 25th anniversary with their then, 1,200 students faculty and staff, we looked forward to collaborating with their communications team to define a new formation which would be suitable and meaningful. Over the years we have honed our expertise in stenciling any shape for a clean beautiful final look, and the larger the group the more options there are, and so with UNIS’ now 1500 students, faculty, and staff we were able to go through many ideas with their communications team, eventually determining a 30 would be ideal to mark this special time. 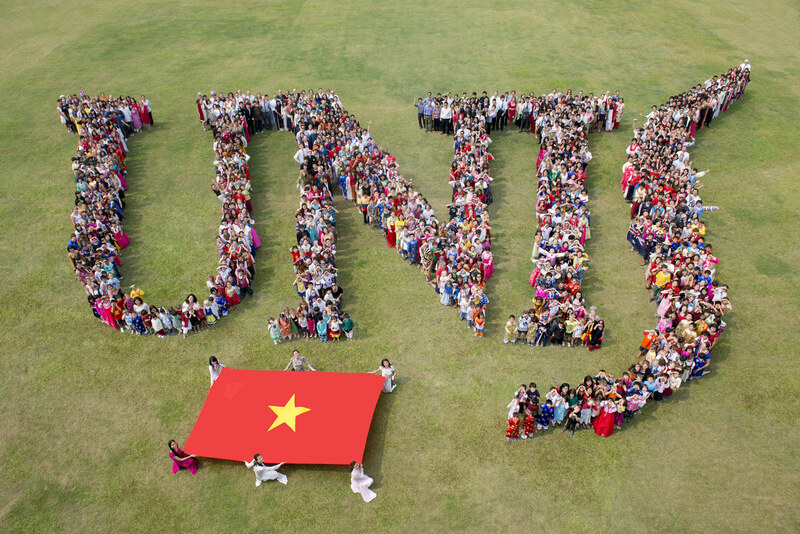 Ms. Nguyen Hong Quyen, UNIS Communication Coordinator expressed it was important to feel connected to the shape so that everyone could feel part of something they were all proud of. With one week left before shoot day, we began calculations with Architect Nguyen Van Thanh of group8asia, who created an anamorphic 3D shape to help us determine the dimensions for our ground stencil to not only fit everyone within but also to take into account the camera lens angle and the height of the scaffolding. 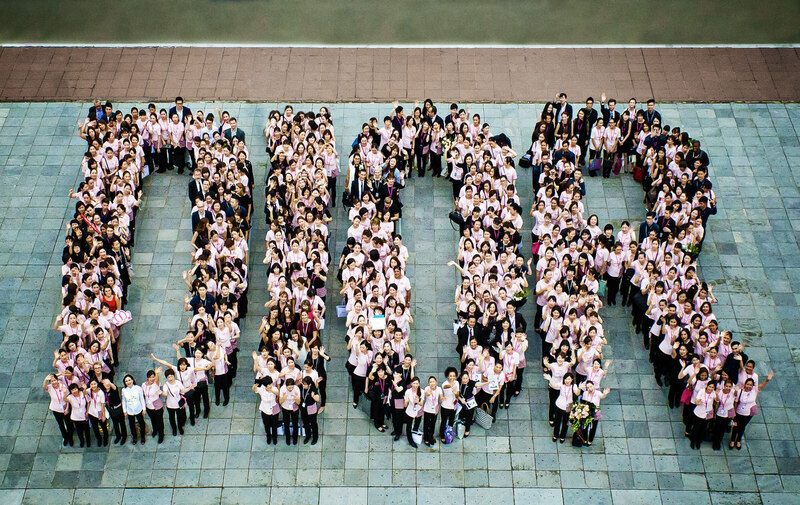 It took two days for the NOI team to draw it on the field. Luckily on shoot day, all stormy Hanoi weather had subsided and we were left with a beautiful day which ended up being quite hot so we made sure to take under 30 minutes to choreograph and shoot! “The attention to detail and having the lines drawn on the ground for each class was very helpful to make sure all the students knew where to go and had space to stand in their groups,” said Ms. Nguyen Hong Quyen. For our team, optimizing time is essential on the day to ensure minimal shooting to make the event an enjoyable and painless part of the celebrations and keep the focus on coming together as one community. The image ended up making a notable impact on social media around the UNIS community and beyond. 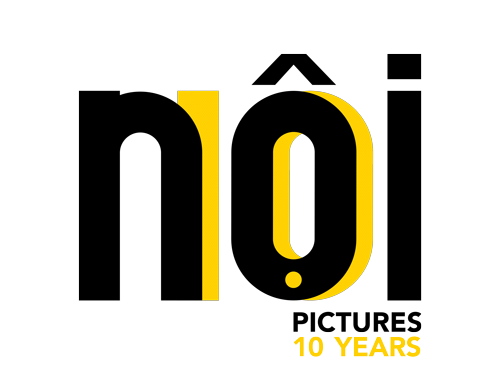 Ms Emma Silva noted how this showed the efforts and outcome resulted from true teamwork – everyone felt they were part of something bigger and so shared it on their own social networks making for an exciting and lasting part of our 30th-anniversary celebrations.